Business as usual for ReForm School founders Billie Lopez and Tootie Maldonado means far more than simply managing their popular Silver Lake, California, shop. Whether exploring thrift stores for vintage finds, hosting a series of hands-on Home Ec. 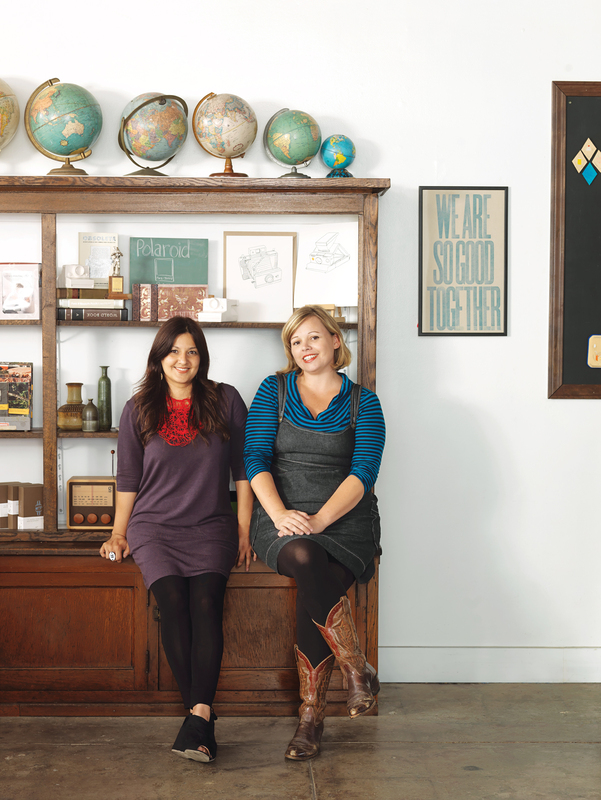 classes, or planning field trips to test out a new DIY-canoe kit, the duo successfully share their passion for unique goods with local (and loyal) customers and artists. With the addition of an online store, class is now in session for the rest of us, too. Tootie Maldonado (left) and Billie Lopez have been friends since high school, but it was their years of shopping trips together after graduation that inspired them to open ReForm School. Now that browsing and buying are part of the job, they're able to stock the shelves with items that they would love to own. 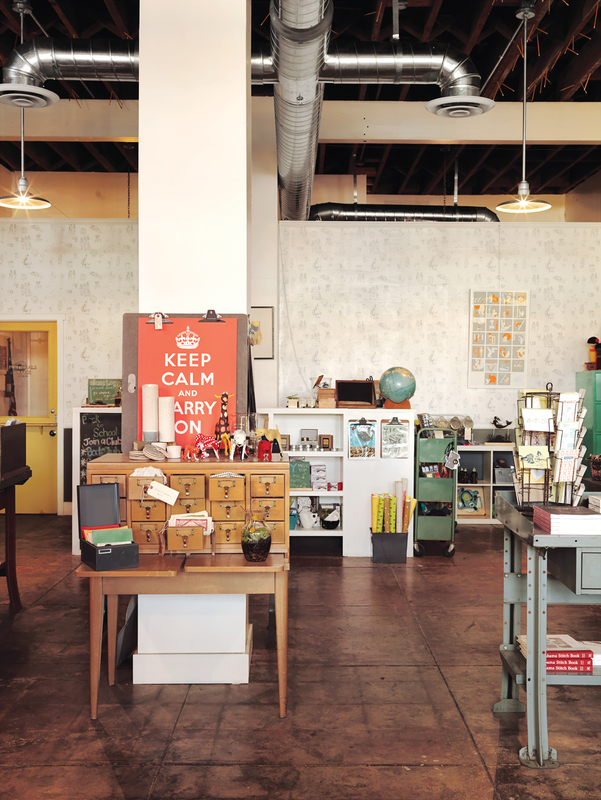 Building a community around design was important for Maldonado and Lopez, and ReForm School has become a neighborhood institution promoting craft and artisan goods. A textile mobile from Hillery Sproatt. 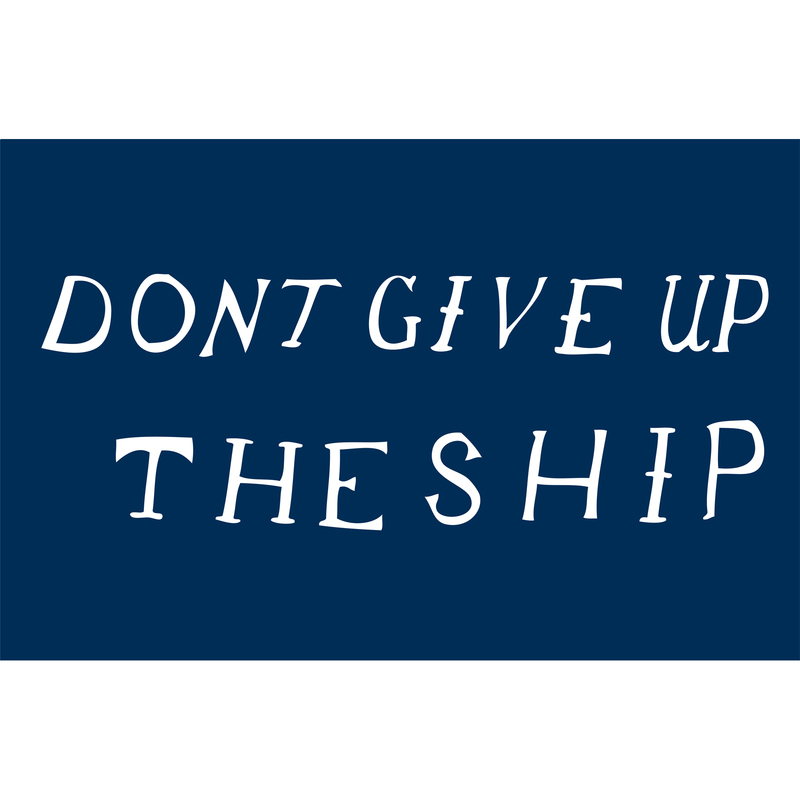 Don't Give Up the Ship printThe dying words of Captain James Lawrence to the crew of his USS Chesapeake "Don't Give Up The Ship" This was definitely our battle cry during the dog days of the recession and we produced this poster ourselves which is why it is extra special to us. Miracles Embroidery Kit from Maxine SuttonMaxine Sutton goes the extra mile to make sure that everything she makes is from sustainable materials like organic & re-used fabrics. She has been one of our favorite artists for years now and until recently her work was only available as fine art. These kits are fun and affordable. Soft Rocks by Tanya Aguiñiga. Amish Made ScootersProbably our most favorite find! These scooters really are made on a small Amish farm in Pennsylvania.Very high quality and a blast to ride. We love seeing our customers ride around town on them. Homestead Print by Gregory BeauchampGregory Beauchamp is a Los Angeles artist and an amazing fellow. His words say it best "If you could drive from here and go all the way around the world...taking ferrys and ships where there are no roads and stopping every day to look around...this is what you would see". This print is so sweet...with the words "I LOVE MY FAMILY" within each home. Artwork is hand-transferred inch by inch over a long hour. Each piece is an original, slightly different from the last. Handmade, signed and numbered. The Incredible Rope MachineThis simple machine is one of our favorite items because it is so much fun. The Incredible Rope Machine is the fiber artist’s handy tool for making customized edge trims, accents for pillows, coats, and sweaters, and purse handles, jewelry, belts, and more. This simple-to-use tool allows you to fashion the just-right accent. 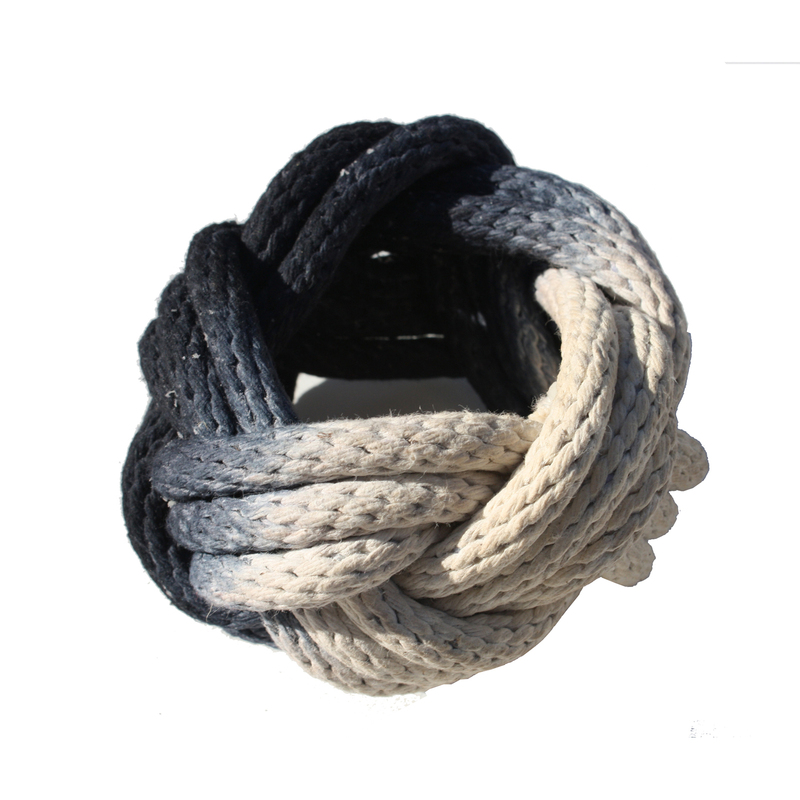 Any size, color or texture can be used for the perfect rope or trim. Wooden Button SetWe personally chose each and every button for our exclusive button set. Each button is hand crafted from environmentally friendly wood. The perfect addition to any scarf or sweater. They're just so pretty! Ikat Fat Quarter SetAnother thing we are obsessed with are ikats and our fat quarter sets are a wonderful sampler of some of our most subtle patterns. Can be used for quilting and other projects. Stainless Steel FustiOriginally used to dispense olive oil we use our fusti's for serving some of the best tasting water you've ever had. They look so pretty on a kitchen counter and are perfect for parties. Can also be used for wine. We mostly like em because they're so much nicer than those awful plastic water bottles. Camera Obscura KitWe got these things at Christmas time and people just went nuts for them. The ancestor of all cameras, this hand-held camera obscura projects an image onto a screen inside the box. The wooden camera is supplied in kit form and has an authentic look and feel when assembled. Patio Garden Kit by Scout RegaliaOur apartment dwelling neighbors finally have a design savvy solution to all of their gardening needs. Plus, it's manufactured right here in L.A...Gotta love that! Check out Billie and Tootie's top ReForm School picks in the slideshow. What are your criteria for selecting an item to sell? Tootie Maldonado: …one of us has to nudge the other. BL: We go to design and craft shows, but online is where we have the most luck. The Internet is a huge treasure trove. We’ll find one artist’s website, and they’ll link to other artists they like, and then we just keep clicking through from link to link. What’s your most recent purchase? BL: We just bought these amazing Amish-made scooters for the shop.They’re functional and look great. TM: We can envision our customers scooting by on their way to the farmers’ market. BL: When people buy the We Are So Good Together print it means that they’re in a nice place in their life. Is there an object that changed the way you think about design? TM: I grew up with handmade design. My aunts made dolls for my cousins and me, and when I was young I’d sit with my grandmother and watch soap operas—–her “stories”—–and we’d crochet together to keep me busy and quiet. Why is Silver Lake a good place for a design store? BL: We could not have picked a better location. A lot of the artists we work with started out as regular customers. It’s a very close-knit community and has probably inspired us more than we even realize. What young designers or artists are you watching? TM: Tanya Aguiñiga is on the verge of something huge. This girl is incredible; she’s known for her furniture, but we carry her Soft Rocks. She can do anything. And Esther Derkx makes wonderful repurposed crockery. BL: Maxine Sutton, an artist from the UK, is making some little trinkets and kits that we’re very excited about. I love Ayumi Horie’s pottery, and Lorena Barrezueta does cool ceramic take-out ware. Mixed-media artist Hillery Sproatt pays such close attention to detail in every single thing that she makes, no matter how small the item. How has the market changed since you opened the store? BL: There’s a better understanding of the whole concept behind handmade goods. People appreciate the work that goes into the products and that sometimes it might cost a little more than something mass-produced. What’s next for ReForm School? BL: We have always wanted our shop to have an interactive community feel with more layers to it than the basic retailer-customer connection. Hosting the Home Ec. classes was about making, and our next venture will put the emphasis on doing: canoeing classes and races, archery lessons. TM: We have got so many little crazy ideas.